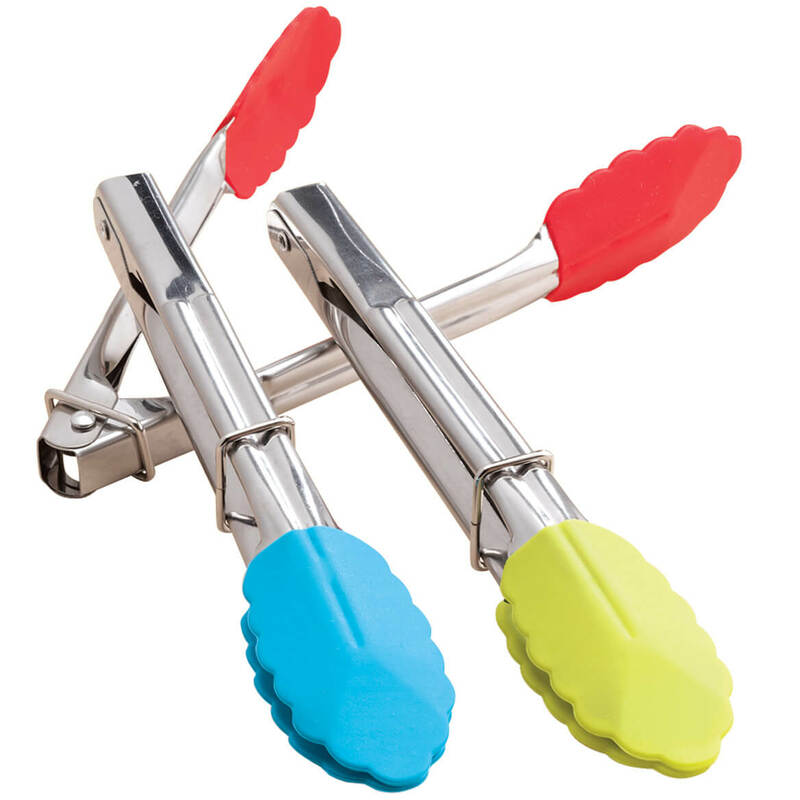 Silicone tongs set features three silicone tongs with heat-resistant silicone tips to easily grasp foods while frying, boiling, sautéing or grilling. 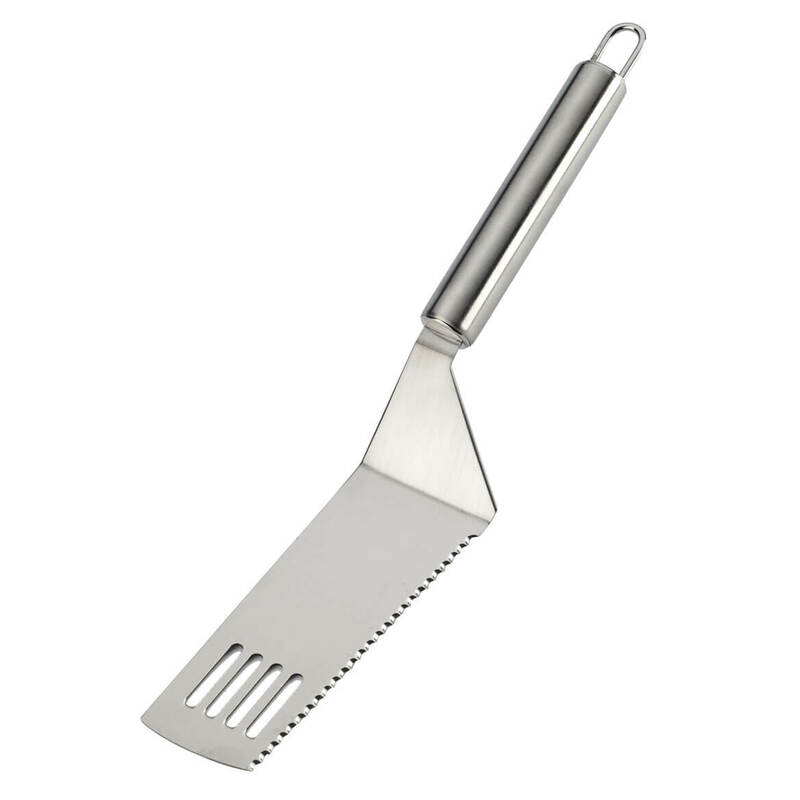 Great for use with non-stick cookware, the 7″ long tongs won’t scratch or nick. Dishwasher safe. Set of 3 includes red, green and blue. Add a truly personal touch to your décor with our 2 qt. 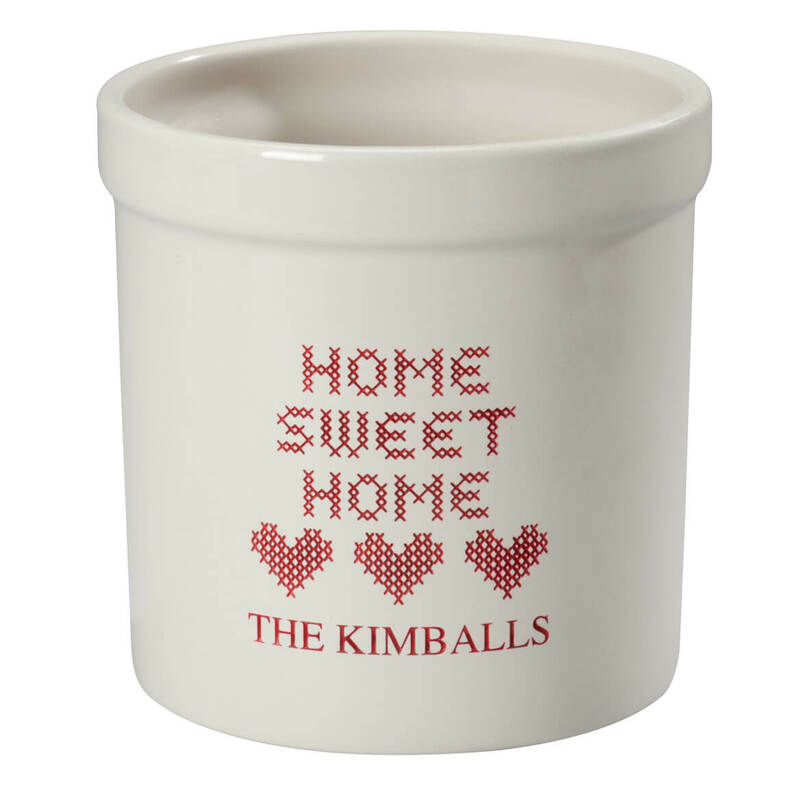 personalized Home Sweet Home stoneware crock. Perfect for storage or planting, this utensil holder features your choice of design and 1 or 2 lines of personalization. Designs are sand-etched and filled with red or blue for a textured look and feel. Solid ceramic crock is perfect for indoor and protected outdoor use. Specify personalization: 2 lines, 15 letters/spaces each. Perfect for soups and stews! Classic soup spoons feature extra-wide, round basins and an angled shape for easier scooping without spilling. 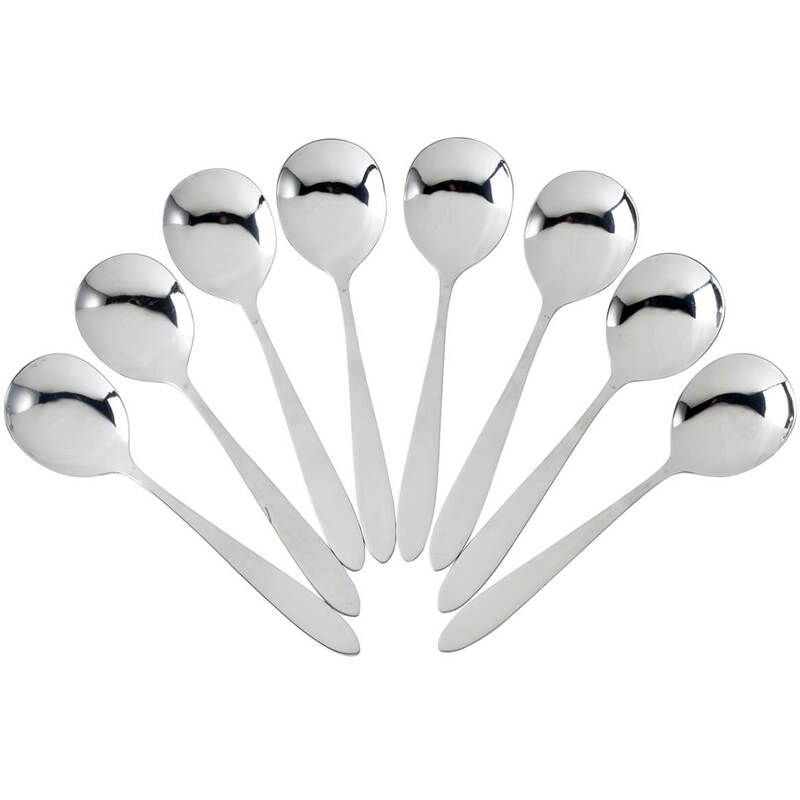 Soup spoon set makes a great addition to any flatware collection or replacement for lost spoons. Dishwasher-safe stainless steel. Set of 8; each 6 3/4″ L x 1 3/4″ dia. Add a truly personal touch to your décor with our 1 qt. stoneware crock. 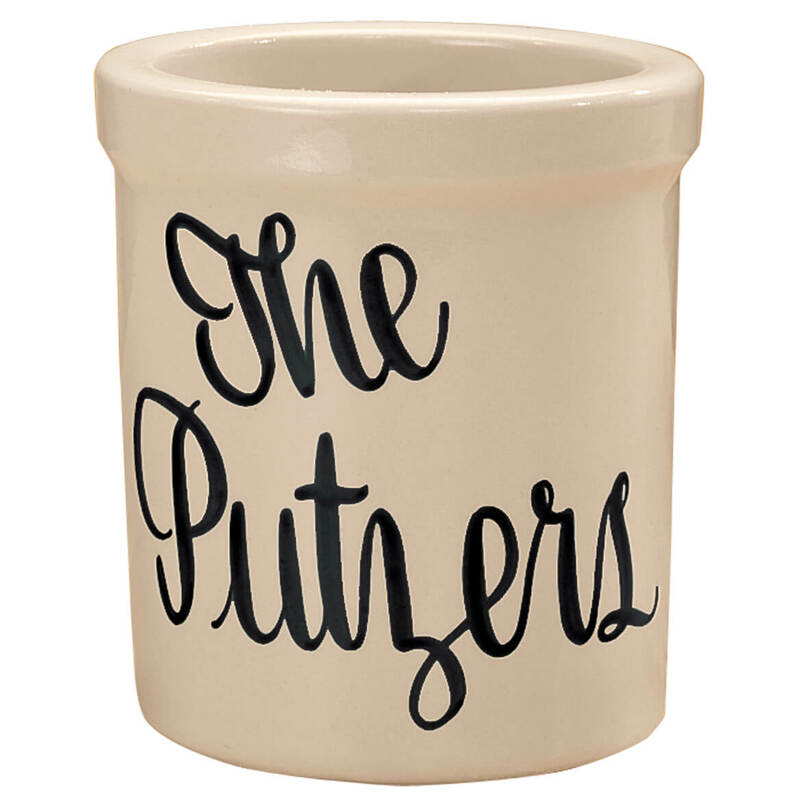 Perfect for storage or planting, this solid ceramic crock features your choice of design and 1 or 2 lines of personalization. Designs are sand-etched and filled with red or blue for a textured look and feel. Perfect for indoor and protected outdoor use. Specify personalization: 2 lines, 15 letters/spaces each. Great news for pasta lovers! 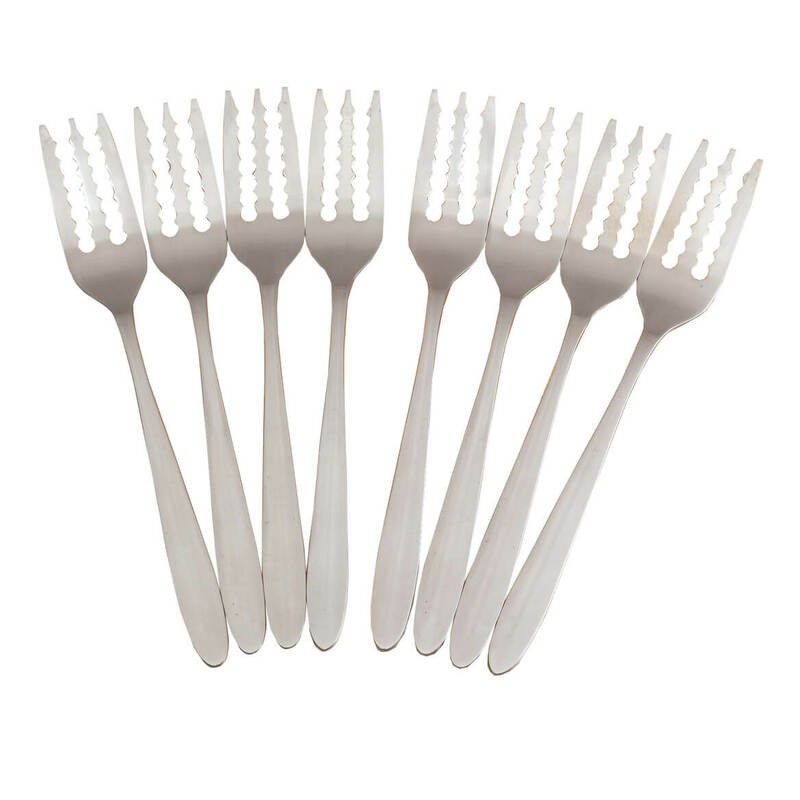 Spaghetti forks feature three ridged prongs that keep noodles in place when fork is twisted – so noodles reach their proper destination in one delicious mouthful. Stainless steel, dishwasher safe. Set of 8. 6 3/4″ long each. Add a truly personal touch to your décor with our 2 qt. 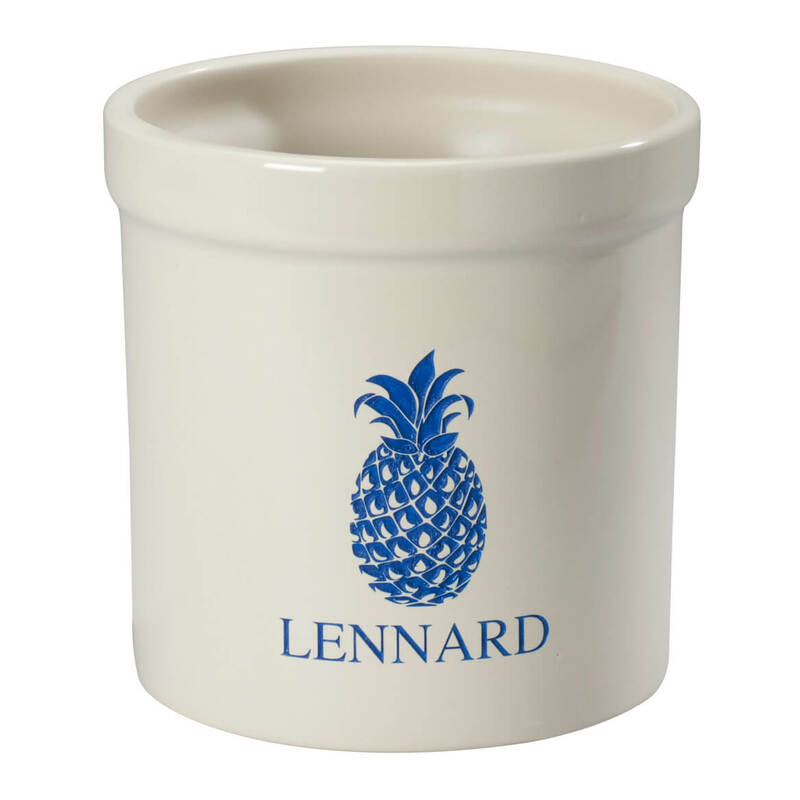 personalized Pineapple stoneware crock. 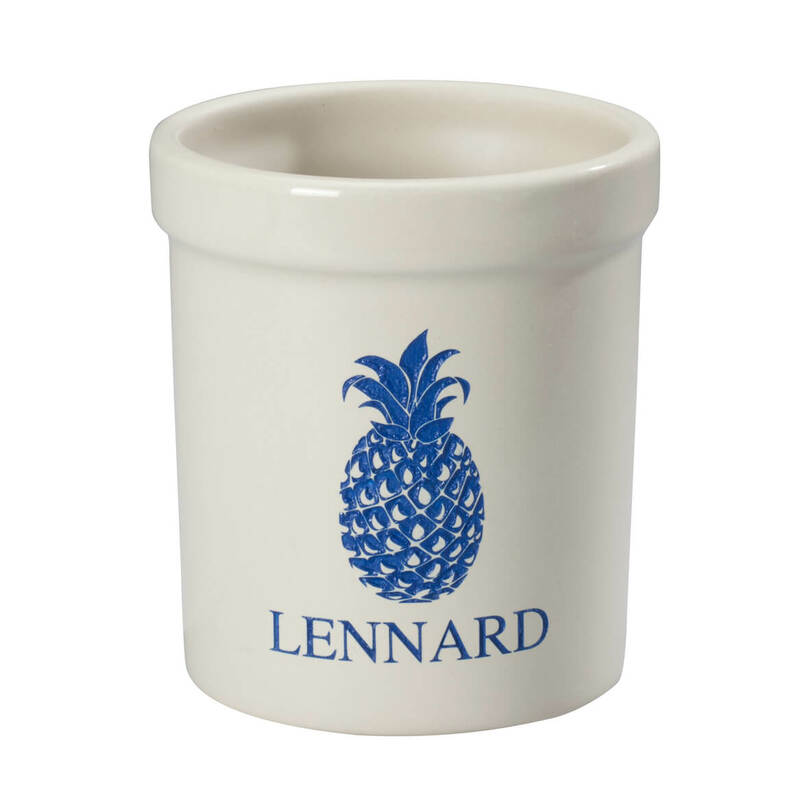 Perfect for storage or planting, this utensil holder features your choice of design and 1 or 2 lines of personalization. Designs are sand-etched and filled with color for a textured look and feel. Solid ceramic crock is perfect for indoor and protected outdoor use. Specify personalization: 2 lines, 15 letters/spaces each. This stainless steel 2-in-1 cut and serve spatula’s angled, serrated edge lets you easily cut a slice—then glide beneath it for quick, easy transfer to a plate. 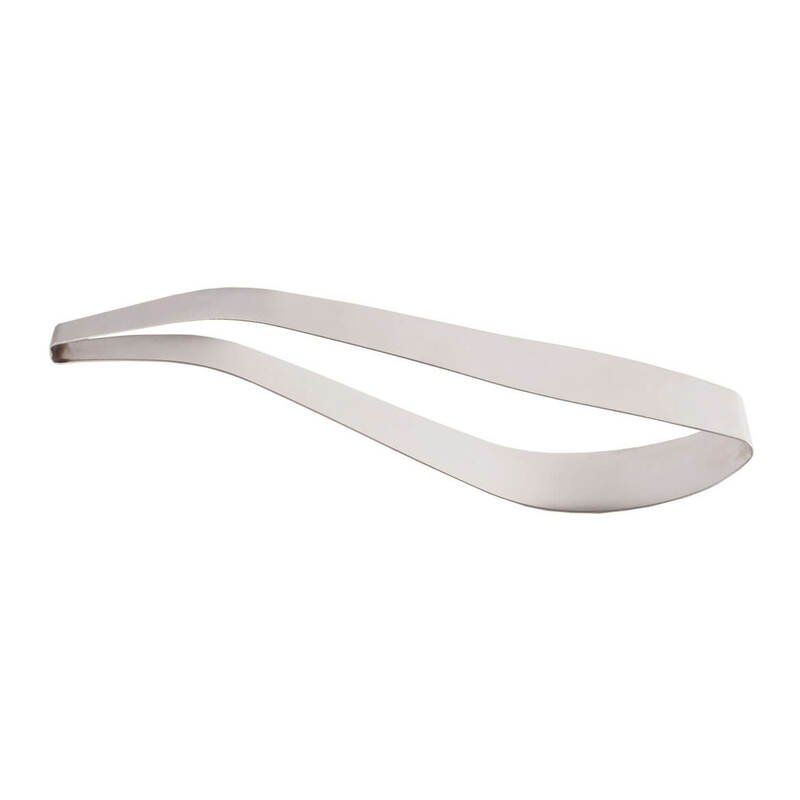 Perfect for pie, cake, quiche, lasagna, pizza, brownies and bars, it slides easily beneath foods to lift and serve, while slotted head drains sauces or excess oil and helps prevent foods from sticking. Designed in classic stainless steel with a polished finish, this metal server’s rounded handle provides ergonomic comfort and control. 10 3/4″ long. Hand wash.
How could we improve this versatile, good-looking stoneware crock? 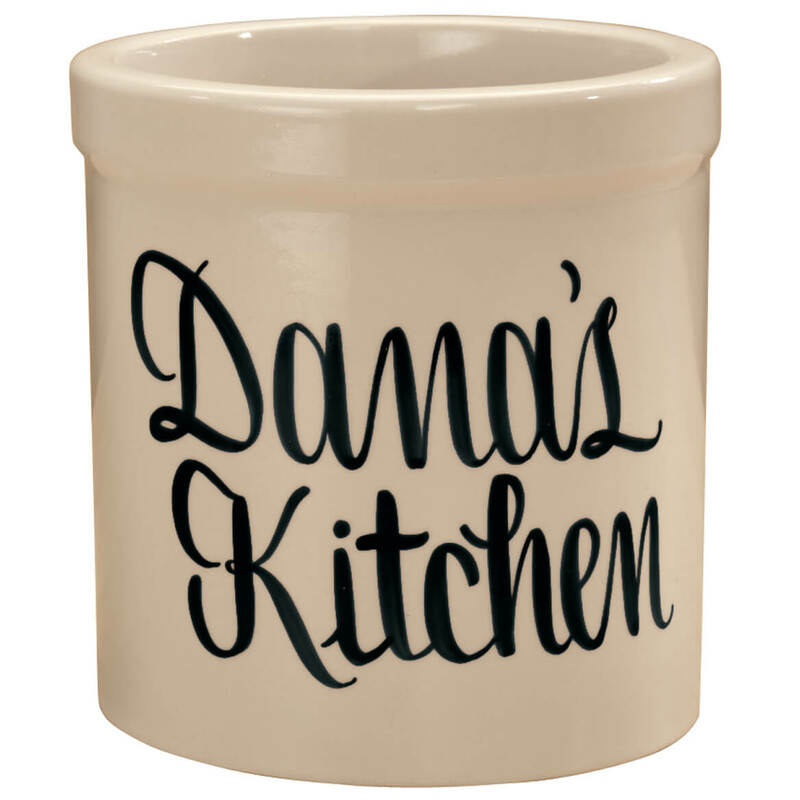 By adding a special message and making it a personalized stoneware crock. We’ll handpaint your message in red, burgundy, blue, black or green. Specify paint color. Limit 2 lines, 12 letters/spaces on 1-qt. personalized stoneware. Glazed stoneware, natural finish. Hand wash. This elegant stainless steel cake server easily slices and serves cake at once, holding the piece together while delivering it to the plate without fuss or mess. Simply press the cake cutter through your dessert, squeeze it gently for lifting, then place it on the plate and release slightly to remove. The sleek, stylish cake slicer is perfect for weddings, anniversary parties, holidays and more—working beautifully with any kind of cake. Dishwasher safe. 10″ long x 2″ wide. How could we improve this versatile, good-looking stoneware crock? By adding a special personalized message. We’ll handpaint your message in red, burgundy, blue, black or green. Specify paint color. Limit 2 lines, 15 letters/spaces on 2-qt. crock. Glazed stoneware, natural finish. Hand wash.